The fundamental assumption most investment advisors make is that portfolio asset allocation can achieve diversification through a balanced portfolio of stocks and bonds. Popular investment advice states that depending on risk preferences, investors should vary what percentage they allocate to equities (more risky assets) vs. bonds (less risky assets) with a typical allocation of 60%/40% respectively. More sophisticated models such as risk-parity products diversify further by adding other assets such as commodities and inflation-linked bonds, but still basically depend on the underlying assumption that stock and bond performance is largely uncorrelated in most (not all) economic environments. However, the assumption that investors can achieve diversification through a portfolio of bonds and stocks has come under a lot of pressure as the correlation between bonds and stocks has reversed direction in the last decade. 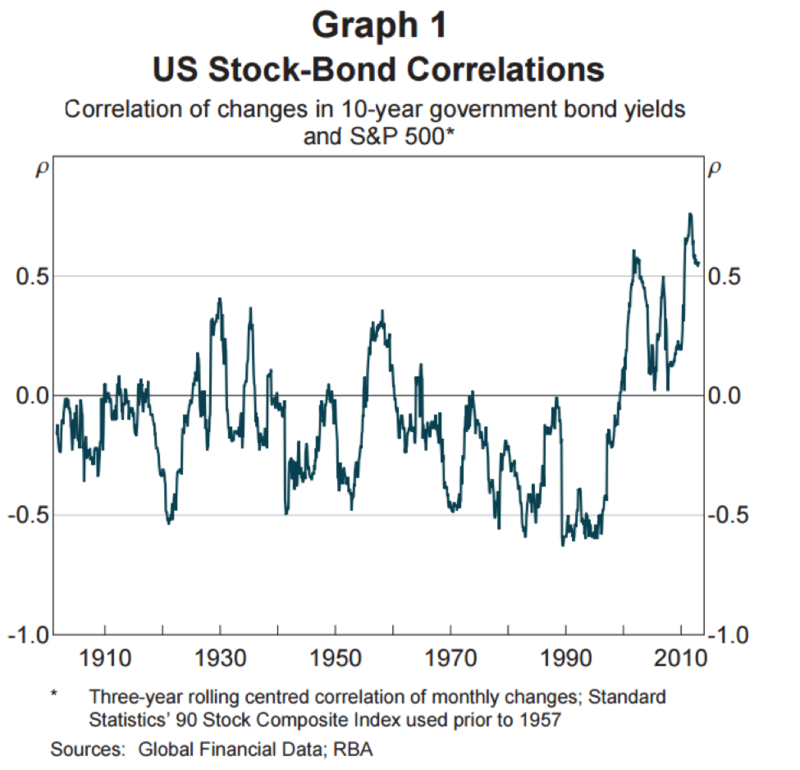 Since 2000, stock-bond correlations have risen significantly post the dot.com bust and during the global financial crisis in 2008. Investors can no longer rely on the old adage that stock and bonds are generally uncorrelated and need to understand what are the fundamental economic, social and political drivers that impact market pricing and how and why these drivers are evolving overtime. Some trends last so long that they lure investors into a false sense of security and lead to assumptions that a passive long only portfolio can be based on stable correlations between assets and can permanently achieve diversification. For example, since the 1980s until the 2010s, the US economy has experienced a prolonged period of steady productivity and relative economic prosperity coupled with low inflation and falling interest rates. 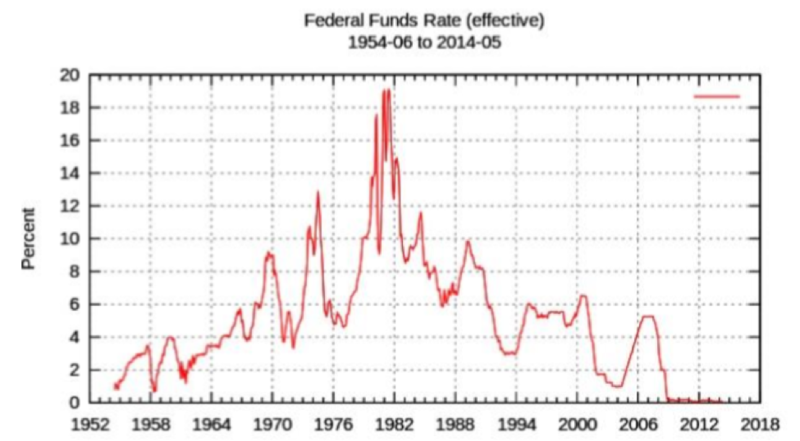 Below we see the unrelenting fall of the effective federal funds rate which has created tail-winds for bond investors and favorable returns for leveraged risk parity portfolios that for decades were able to deliver equity-like gains with bond like volatility. With interest rates at practically 0%, the wind has been taken out of the sails.